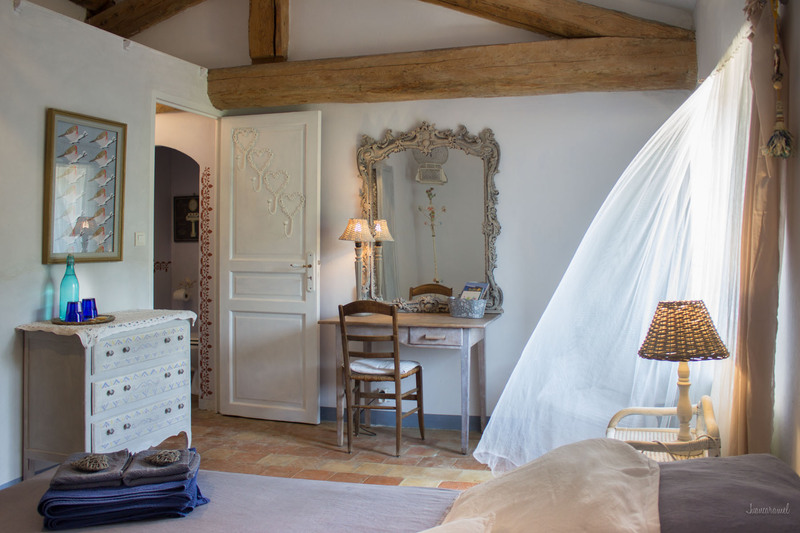 On the second floor, located in the former granary, a romantic room bathed in soft light, with its pastel walls and white patinated furniture. It faces due south and offers a beautiful view of the garden. 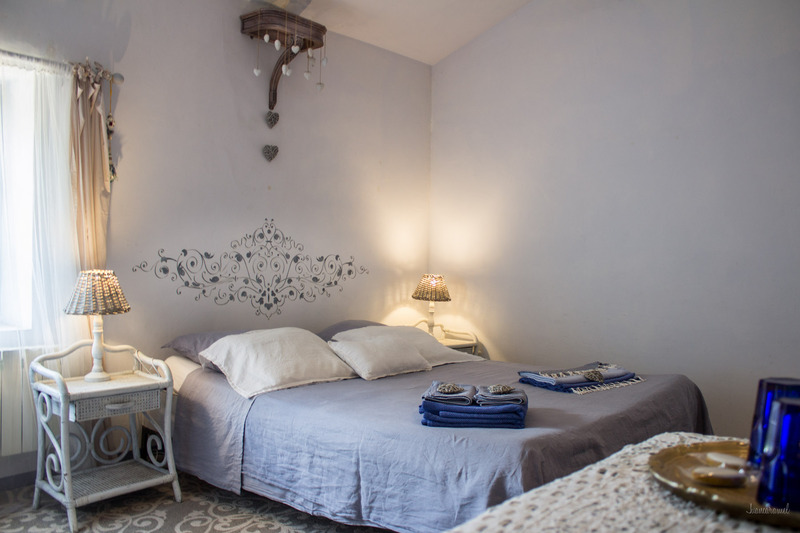 21m2 double room for 1 or 2 persons, equipped with a double bed 160x200 (queen-size). Good quality bedding and natural linen sheets.